Austin Rees are Property Managing Agents, which means that we provide a full residential property management service to include every aspect of the work required to maintain property and ensure the security and comfort of leaseholders. Our portfolio of managed properties includes more than 450 residential properties comprising over 4,500 leasehold flats across Sussex, London and the South East. We have invested in the right people with the right skills to ensure that we can provide our clients with the support and services that will help to reduce costs, maintain buildings and protect investments. Austin Rees is a member firm of the Royal Institution of Chartered Surveyors (RICS) and our services are offered in accordance with the ‘RICS Residential Management Code’. 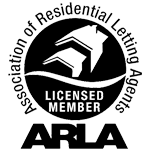 We are also accredited members of the Association of Residential Managing Agents (ARMA). We were proud to have been award ARMA-Q accreditation in June 2015 for the standard and quality of our services. Not all Managing Agents are the same. Only fully accredited ARMA agents provide their clients with the levels of guarantee and security that comes with being a full member. We continuously strive to improve our service and provide training to all our key staff. This includes taking professional qualifications and personal development training through the Institute of Residential Property Management (IRPM) and because we have a low staff turnover we can provide continuity of service to our clients. Our assessment of what must be done, and when, will be independent of private interests and preferences and based solely on the need to respect the property’s individuality and keep the premises in good repair. Our experience and impartiality in handling disputes limits the possibility of conflicts that could arise between neighbours and colleagues. We have systems in place to handle day-today issues and time-consuming administration. We have established regulated management and accounting processes. As specialist Managing Agents we bring an organised approach to planning works, setting budgets and the collection of the service charges. Our liability insurance cover protects client funds. We also hold professional indemnity cover as a further protection against negligent acts. This means that the building and people who live in them are properly protected. We use our professional knowledge and experience to ensure that whatever we do complies with leases, laws and codes of practice as a Managing Agent. The business was originally incorporated in 1929 and has always specialised in the management of properties in the Sussex area. With many long-standing clients, John Austin merged his professional practice in 1985 with the Block Management and Surveying practice of the Harries-Rees Partnership. These two firms of Chartered Surveyors became Austin Rees.